medical house-officers, medical education seminars, and other interested groups. a lecture outline can be obtained here. There are more than 21 million veterans living in the United States. One of every ten individuals over the age of 18 is a veteran. One of every six men between the ages of 35 and 65 is a veteran. About 80 percent of veterans receive their healthcare from civilian doctors and hospitals. CIVILIAN PHYSICIANS RARELY TAKE A MILITARY HEALTH HISTORY TO IDENTIFY THOSE PATIENTS WHO ARE VETERANS AND FAMILY MEMBERS. Symptoms and conditions related to past deployments are not identified as service-related. Veterans are not receiving preventive counselling or testing for known deployment-related risks..
Under-insured veterans are not referred to VA facilities to receive free medical care or financial aid for service-related disabilities. An opportunity is missed to pool electronic health data to identify which medical conditions are associated with specific deployments. Military veterans should ALWAYS tell their physicians that they are veterans. They should also tell them their branch of service; Their job description; When and where they were stationed; if they served in a combat setting; And if they have known or suspected service-related medical or psychological problems. They should then insist that this information becomes part of their medical record because it might be important now or in the future. Medical personnel should be taught how to take a military health history: It should be included in medical school curriculum and continuing education, and health professionals should understand the importance of asking every male and female patient if they are veterans. (e.g. This history may be important or identifying birth defects or problems of pregnancy that may be associated with deployment.) 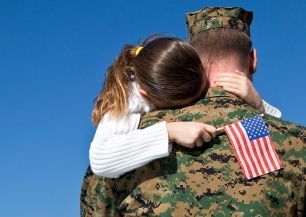 Patients should also report if their spouse, domestic partner, or a child's other parent served in the military. Military health history should become a standard part of all electronic health records - both civilian and at the VHA. And civilian and VHA records should be integrated for continuity of care. Military personnel should be provided with an electronic record of their health history that can be presented to a civilian or VHA physician for reference. Veterans Health Administration mandatory requirements: Physicians (70 percent of all US medical school graduates) and other healthcare workers who rotate through VHA facilities should be required to take mandatory training that teaches veterans' cultural awareness and military health history. Military health history should be made available on convenient smartphone applications in addition to the VA OAA "Pocket Card" in present use..
Veterans will benefit by receiving benefits to which they are entitled; by having earlier diagnosis of service-related illness; and by receiving preventive counselling for known deployment-related health risks. Physicians will benefit by having an increased awareness of pertinent medical and social history that had not been entered previously into their patients' records. Healthcare facilities will benefit by having some unpaid medical services covered by the VHA. Veterans Health Administration will benefit by better meeting the needs of veterans and having new patients referred to them. A member of the Association of American Medical Colleges' Military Health History Initiative. Dr. Brown served in Vietnam during 1966 and 1967 as the battalion surgeon for the 2nd Battalion/ 14th Infantry (1st Bde, 25th Inf Div). He was later assigned as a Brigade Surgeon and then as the Commanding Officer of a Clearing Company. He was awarded the Bronze Star (Valor) and Combat Medical Badge.